Thank you for signing up for the Silicon Valley Tour De Coop 2016. Please carefully read the event information below. To get the coop tour maps, please read the liability release and click the link at the very bottom of the page. You DO NOT need to print any ticket! Simply visit the coops and have fun! We hope it is a fun and inspirational event for you, and your friends and family. (1) Coop owners have graciously opened up their gardens and coops for this event. Be sure to personally thank the coop owners for their sharing and generosity. Please treat their yard and property with the same level of care and respect you would for your own garden and property. (2) For the health of our feathered friends at the coops, the tour will be practicing some simple steps to prevent cross coop contamination by spraying the bottom of shoes with a diluted Lysol solution or another method selected by the coop owner. This is to prevent spreading of diseases from chickens to chickens and not for your (human) safety. For more information on why and how, please visit the Chicken and coop safety document. (3) Restrooms will not be available at coop stops unless it is a public facility. Coop owners have been asked not to provide their bathrooms for tour participants for several reasons, but the route includes some public restroom stops at parks, or business, schools that can offer restroom services. You must provide your own food and water for this event but the tours go by business districts. Many coops will also be offering or selling snacks and providing water. (4) Please do not share this link with other persons who have NOT registered for the event. The event is limited to the persons who have registered for the event through Eventbrite. If others wish to join you, please have them register for the event so we can get a good count on the number of participants. It is FREE! 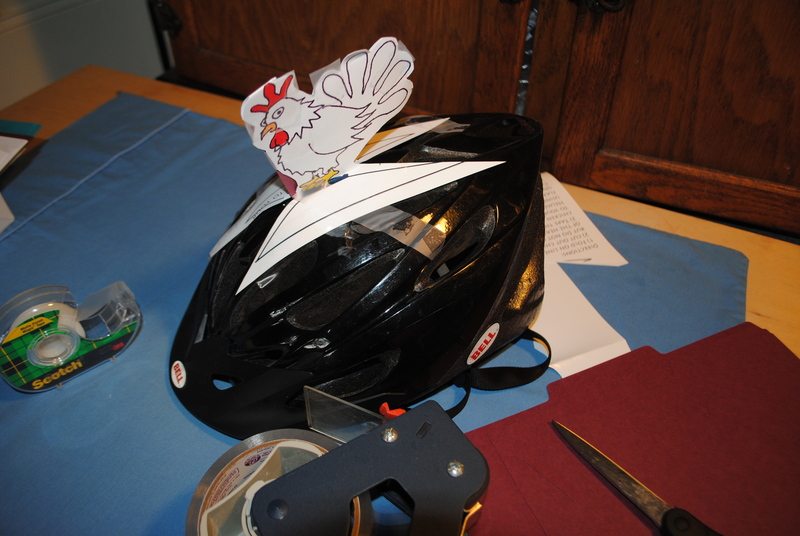 (5) Get into the spirit of the coop day and identify yourself with a Tour De Coop Chicken accessory to your Helmet. (6) All participants in the Tour De Coop Event must read and agree to the Release and assumption of risk form agreement below. Release and assumption of risk. In consideration of the acceptance of my participation in the Silicon Valley Tour De Coop, I hereby release and discharge any and all claims for damages, death, personal injury or property damage which I (or my minor child, if applicable) may have, or which may hereafter accrue to me (or my minor child) as a result of my (or my minor child’s) participation in this event. This release is intended to discharge in advance the Slow Food South Bay, ST Tour De Coop and its organizers, agents, event volunteers and coop owners from and against any and all liabilities arising out of or connected in anyway with my participation (or minor child’s participation) in this event, even though that liability may arise from their negligence in organizing, planning and implementing this event. I further understand that accidents can occur during the Silicon Valley Tour De Coop Event and participants in such events can sustain personal injuries and/or property damage as a consequence. Knowing the risks, nevertheless, I hereby agree to assume those risks and to release and discharge all of the persons or agencies motioned above who (through negligence or carelessness) might otherwise be liable to me (or minor child or my heirs or assigns) for losses, injuries, damages or liabilities. It is further understood and agreed that this waiver, release and assumption of risk is binding on my heirs, executors, administrators and assigns (and on my minor child, if applicable). Click the link below to go to the Coop Tour Maps, addresses, and tour events.